2014 “Left Behind” Reboot – Rapture Pulp Fiction for the Christian | Truth with Snares!? Watch out there’s another apocalyptic movie coming to the big screen near you! Compared to other Hollywood movies, this $16 million dollar production would be considered low cost. After all it’s nothing more than Christian *pulp fiction. For our new reader who may not be familiar, the Left Behind movie being released today is largely derived from the 16 book series of the same title written by Tim LaHaye and Jerry Jenkins, and a remake of Left Behind: The Movie released in 2000 starring Kirk Cameron. Compared to the book it is said this remake is adapted to focus on the Rapture and what immediately follows. So how will this latest Left Behind measure (biblically speaking) compared to the movies Noah or Heaven is for Real? Well, as bad or worse. We reviewed the Left Behind books and year 2000 version of the movie back in 2001 (online source). One of the very questionable doctrines the Left Behind series teaches is that at the time of the rapture pregnant women will suddenly become un-pregnant (that is, the unborn babies will be taken in the rapture and will leave the unsaved mother, who is left behind, many pounds lighter!). A rapture for embryos! (vol. 1, Left Behind, pp. 46-47). The pope is raptured away! The books depict the Roman Catholic pope as a saved man who is taken away in the Rapture. The books feature the formation of a “Tribulation Force” to resist the Antichrist. There is nothing like this even hinted at in the Bible. Large numbers of relatives and friends of Christians are saved after the Rapture occurs. Prayers to the dead is taught in one of the books. During the funeral for a Tribulation-era pastor, one of the leaders of the Tribulation Force is depicted as praying to the dead man (vol. 3, Nicolae, p. 315). New Age/occult out-of-body experiences are encouraged. One of the characters in The Indwelling has an elaborate and richly detailed out-of-body experience (OBE); LaHaye glorifies OBE as a good way to pray. LaHaye’s OBE account is identical with OBEs described and marketed by countless New Agers on the Internet and in myriads of occult based books (vol. 7, The Indwelling, pp. 232-248). Satan is in charge of the weather. One of the key figures in the Left Behind books is the supposed leader of the 144,000 Jews. In book four, he sends out a message to believers throughout the world via the Internet and makes the following statement: “Eons ago, God the Father conceded control of earth’s weather to Satan himself, the prince and power of the air” (vol. 4, Soul Harvest, p. 232). The Christians in the books make major decisions based on their intuitions and human reasoning rather than on Bible precepts. For example, two of the heroes of the Left Behind series become romantically involved. Though they discuss the matter and wonder if it is God’s will, they get married and have a child in the midst of the Great Tribulation, with no apparent consultation of the Scriptures. Easy-believism and low moral standards are promoted in the Left Behind Based on a bathroom scene where the hero, Buck, gets converted, it appears all that is needed to be saved is mental assent to God’s existence. Then when Buck uses his credit card to embezzle and steal from his boss, this “Christian” deems all okay because the theft is for the cause of Christ (and his boss is the Antichrist). Female Bible teachers are acceptable. Book three has two female members of the “Tribulation Force” trained to teach the Bible to mixed groups of people (vol. 3,Nicolae, pp. 354,355). Contrast this teaching with 1 Timothy 2:12. Books 8 & 9 teach that recipients of the mark of the beast can still be saved. In The Mark, “the Chang scenario” is developed, whereby a character receives both the mark of the beast and the sealing of the Lord. In Desecration, Chang’s dual-marking was justified in the storyline. Second, the new Left Behind movie violates a basic principle of partnering with the world as stated in 2 Corinthians 6:14 “Be ye not unequally yoked together with unbelievers: for what fellowship hath righteousness with unrighteousness? and what communion hath light with darkness?” Even the Left Behind FAQ page demonstrates in their casting that being a Christian was not a requirement. The movie’s version of a “rapture” with Jesus secretly snatching us away is completely false, and in fact is the exact opposite to the truth of scripture; “…shall so come in like manner as ye have seen him go into heaven.” What the movie is preaching is Jesus coming and secretly snatching us (all who believe along with dead believers resurrected) joining Him in the clouds, communing in Heaven for seven years while “The Great Tribulation” occurs on Earth. 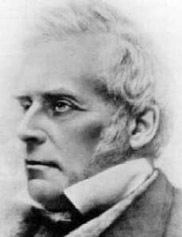 There are many books on the subject, but these teachings are NEW by biblical standards; an invention credited to John Nelson Darby in 1827 (or 1830 depending who you choose to believe) and later plagiarized & popularized of Cyrus Ingerson Scofield. 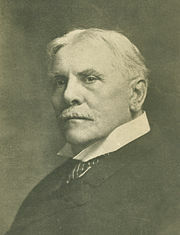 Cyrus Ingerson Scofield (August 1843 – July 1921) Author of the Scofield Bible, unqualified to pastor divorced abandoned first wife and children, called a “scallywag” for his questionable financial transactions, self-awarded doctorate credentials and more. Fourth, we have material on our site documenting the shady history of Darby and Scofield including proof that the theory of the rapture idea was born out of a vision from a 15 year old teenage girl involved with in the occult. This was during the same relative time-frame as the Jehovah’s Witnesses, Mormons, Irvingites and others. So is it only coincidence that this alleged biblical rapture doctrine got its start during a time of unprecedented heresy? Please, save you money, give it to a solid Bible believing church that is not promoting these false teachings and read your Bibles! 1 Thessalonians 4:13-18 But I would not have you to be ignorant, brethren, concerning them which are asleep, that ye sorrow not, even as others which have no hope. For if we believe that Jesus died and rose again, even so them also which sleep in Jesus will God bring with him. For this we say unto you by the word of the Lord, that we which are alive [and] remain unto the coming of the Lord shall not prevent them which are asleep. For the Lord himself shall descend from heaven with a shout, with the voice of the archangel, and with the trump of God: and the dead in Christ shall rise first: Then we which are alive [and] remain shall be caught up together with them in the clouds, to meet the Lord in the air: and so shall we ever be with the Lord. Wherefore comfort one another with these words. 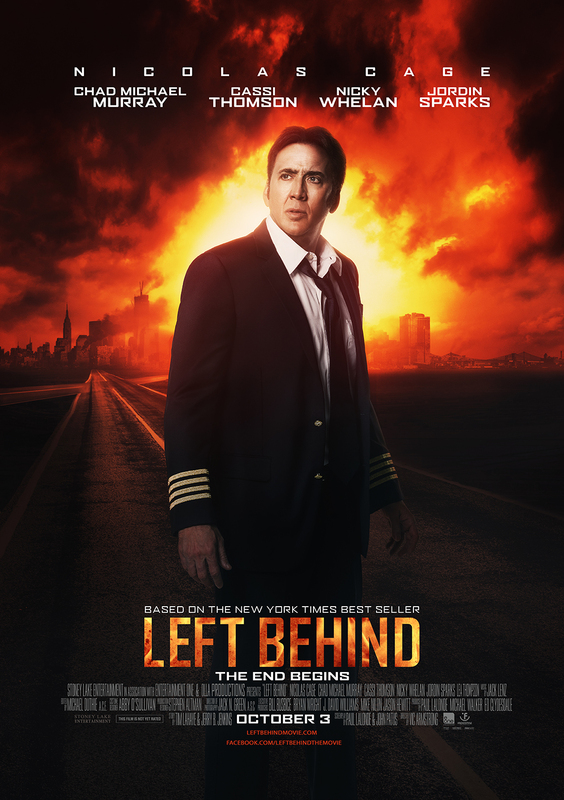 Left Behind is just another in a long line of apocalyptic movies that Christians should ignore. Luke 17:26-30 And as it was in the days of Noe, so shall it be also in the days of the Son of man. 27 They did eat, they drank, they married wives, they were given in marriage, until the day that Noe entered into the ark, and the flood came, and destroyed them all. 28 Likewise also as it was in the days of Lot; they did eat, they drank, they bought, they sold, they planted, they builded; 29 But the same day that Lot went out of Sodom it rained fire and brimstone from heaven, and destroyed [them] all. 30 Even thus shall it be in the day when the Son of man is revealed. I have read the erroneous theory put forward by the rapture teachers, and I must judge by the fruit of the men Darby and Scofield. An honest look at these men and their teachings left me with a question, “Why are we listening to them versus well respected teachers who repudiated Darby’s teachings as cult-like!? Incidentally, Scofield was not qualified to be in the pulpit, the details are included here. Some of these same verses in 1 Thessalonians 4 above are cherry-picked to support the “rapture” teachings but neither the word “rapture” nor the concept are ever used in the Bible. The use of “rapture” started being used synonymously with Jesus’ coming after 1830 and more frequently when popularized by the Scofield Bible with his footnotes in 1909. Deviating from the context of the Bible is dangerous, but as we know Hollywood is no stranger to perverting scriptures. Why would Bible believing Christians want to partner with God hating Hollywood? I suppose they believe in some fashion the ends justify the means, but referring back to Revelation 22 you are literally playing with Hell fire! If you believe we can justify or rationalize changing any meaning from the plain words of scripture all I can say is – wow! I will pray for you! Still not convinced? My wife has done research showing the root of the word rapture for Jesus’ coming according to the Oxford Exhaustive Dictionary until 1830 was related to an emotional experience, not in a prophetical biblical doctrine – to this day its primary definition is still an emotional experience. As Christians we have a duty as the Bereans do to scripture, Acts 17:11 to see if these things are so and a plain reading of scriptures shows us no secret snatching away of Christians in the midst of troubled times. However, the Bible does teach if we would choose to live Godly we will suffer persecution. Any studying of the history of the past 2000 years plainly reveals brothers and sisters in Christ who have suffered horrible deaths for Christ! Yet were they miraculously raptured!? No! So from the start of the “Rapture” teachings it can be shown as patently false. Reading further in 1 Thessalonians 5 you will see we are called the children of the light and children of the day – we have nothing to fear from mankind so why do so many Christians today fret about trials and tribulation!? Why are you looking to escape when we are all called, we are all chosen by the grace of God to be a light to this ever darkening world!? Now is the time to shine brighter to reach to the lost souls all around us. Now is the time to stand in faith, what can man’s wrath do to us? This is a certainty, and what follows is just as sure! Do not call to hasten that awful Day of the Lord! Only we look for His beautiful City, the New Jerusalem! Made by His hands, not our own! The Day of the Lord comes soon enough! When all the tribes of Earth shall mourn! But until the end we shall stand!!! Never wavering held firm by His hand! May we keep the pure Gospel truth of Jesus death, burial and resurrection in front of us! For all men to see even to some who claim to love only Thee! Are false brethren among us! Tearing at the foundations of the Church you built! Because we carry Your light! We must do and say what is right! We stand true, and yes to die means only to be with you! As sheep to the slaughter? Perhaps not! For greater things did you say we would do! May we not only stand but boldly stand in this dark lonely world for you! Rapture Hypochondria! | Truth with Snares! ?